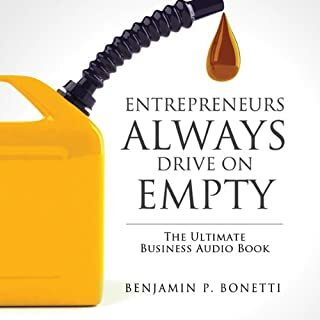 Over the last 10 years, Benjamin Bonetti, serial entrepreneur and successful business coach, has assisted and guided thousands of entrepreneurs and business owners through their journey for success. Within this book, Bonetti has included his “never heard before” secrets, theories, and psychological techniques, which have massively changed the dynamics of thousands of business ventures, from small concerns to major corporations. Crap audio, boring narration and nothing new. The audio is terrible, sounds like it was done with a 70s tape deck in the smallest room in the house. The narrator uses an expressionless tone with an annoying rise and fall pattern that eventually grates on your nerve. Worse though is the complete lack of anything insightful - it is basic common sense wrapped up with an authoritative "in my world of business...."
Please give me my money back!! !